Fig season is here and, thanks to my friend Lauren who has both two giant fig trees and the will to harvest them, I’ve been rolling in figs. Most of these figs have been applied directly to my mouth, but some of these have made their way into various desserts, on top of pizzas, and soon, hopefully, some will be heading into the cannery (my kitchen) to be put up for winter. Earlier this summer I attended the NC Foodways conference at UNC, which was amazing and something I’ve been meaning to write about since it totally flooded my brain with ideas. That is all forthcoming, but one thing I did learn that struck me as incredibly interesting was about chess pies. The first session that I attended was about 18th and 19th century colonial North Carolina foodways, and Kay Moss, food historian, changed everything I’ve ever known about my favorite pies. She said that in the past 300 years the amount of butter and eggs in a chess pie has stayed relatively consistent, but the amount of sugar has tripled. Tripled! I guess that’s no surprise in our overly-saccharine food culture, but that blew my mind. So I decided to try my hand at an ancestral chess. The result of a lemon chess with a third the amount of sugar was lovely. It was so perfectly tart, and creamy enough to be a custard. 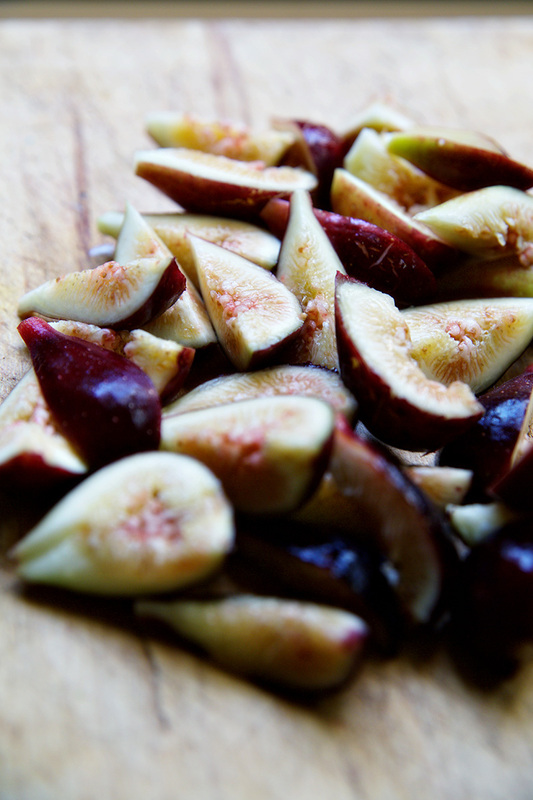 Topped with fresh Wilmington grown figs and North Carolina gallberry honey, this dessert tasted like midsummer. I think it’s safe to say that when it comes to chess pies, I’ll be taking my recipes way back to the classics. To make your dough combine flour, sugar, salt, and cubed butter in the food processor. Blend until butter has been cut into the flour. Slowly add water, a tbsp at a time, until the dough forms a ball. Wrap and refrigerate for 1 hour. Melt your butter and stir in your sugar. Slowly add in eggs, one at a time. Stir in lemon juice, salt, and vanilla. Heat your oven to 375F. Roll your dough out on a floured surface to 1/4″ thick. 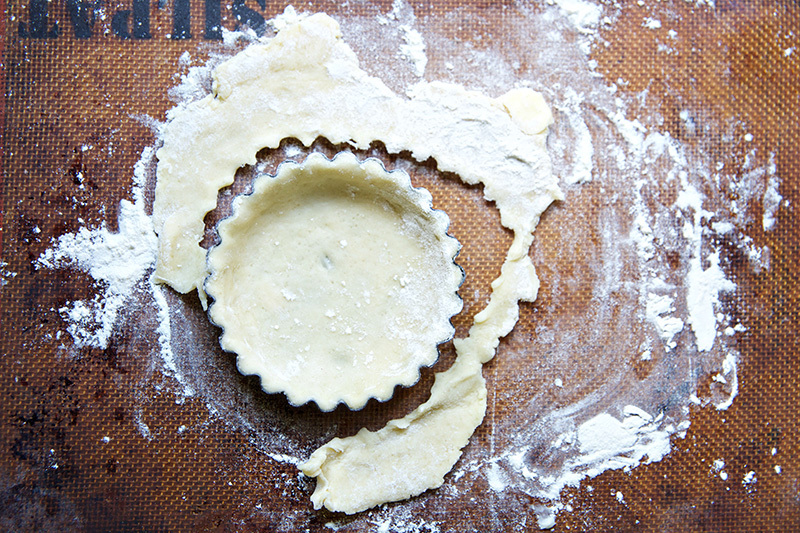 Press into greased tart tins (or one pie dish to make pie instead of mini tarts) and set on a baking tray. 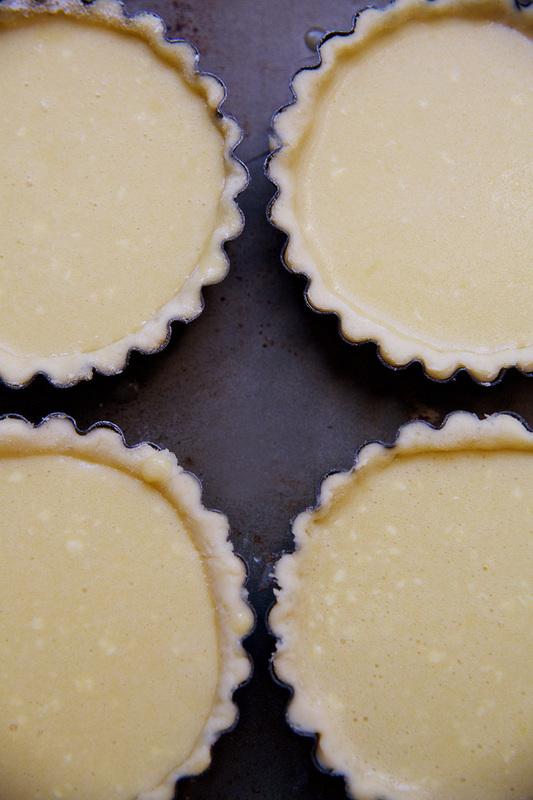 Fill each tart tin with chess filling and place in oven. Bake for 25-30 minutes (longer for a full pie- 45minutes) or until the filling is firm and the crust has browned. 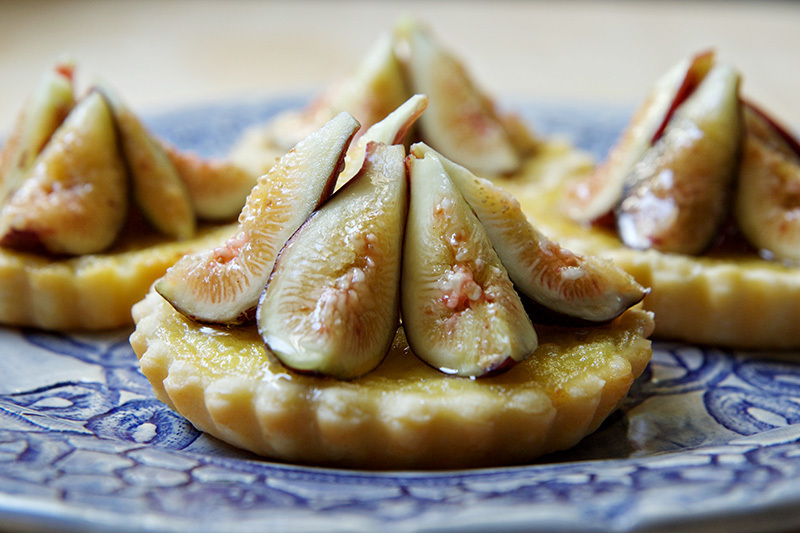 Quarter your figs and top each tart with fresh figs and a drizzle of honey. Serve warm or at room temperature. How much lemon do you add to the chess recipe? The lemon is missing from the recipe. Ah! Good catch! It’s the juice of 4 lemons, and I will update the recipe. D’oh. Reading the above comment gave me a chuckle, remember a beautiful lemon meringue pie I made in home ec class……that I forgot to put the lemon in! Haha! Back to you though, what a delicious delicate looking dessert, beautiful! 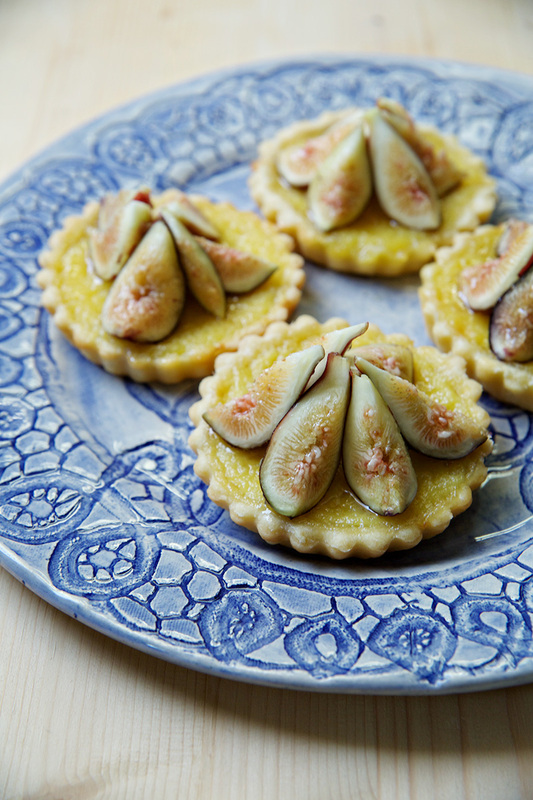 These fig and lemon tarts are just elegant and exquisite – love the size you made them! How lucky for you to have access to so many figs. My fig trees did not produce this year as I had hoped. May be using my meager stash for these lovely tarts! I’m a sucker for anything fig or lemon, so these look incredible to me! These are lovely. Beautiful recipe and photographs. Pinned. 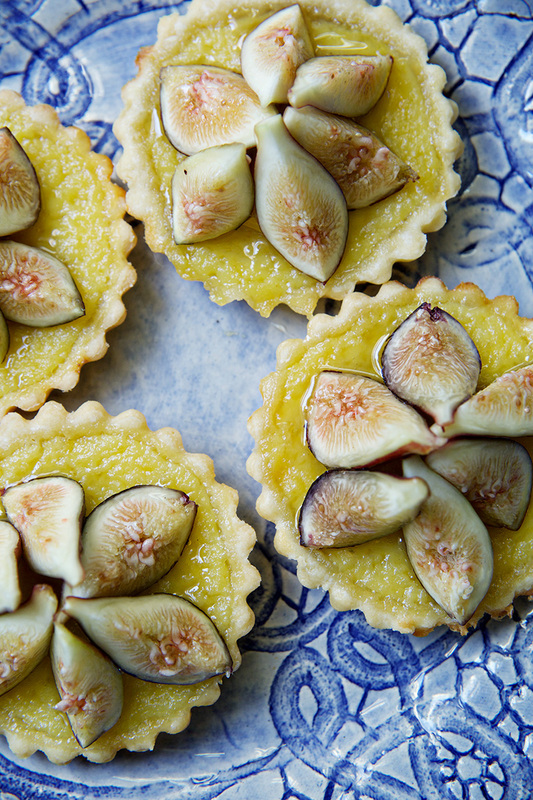 These tarts look like a dream! I love that flavor combination and wish I had one of these gorgeous things right now!